MOV file is a common multimedia container file format developed by Apple and compatible with both Macintosh and Windows platforms. t may contain multiple tracks that store different types of media data and is often used for saving movies and other video files. MOV files commonly use the MPEG-4 codec for compression. MOV files may contain video, audio, timecode, and text tracks, which can be used to store and synchronize different types of media. You can play MOV files on Microsoft Windows Media Player, Apple QuickTime Player, Google Drive, Quicktime and so on. If you want to play iTunes videos on the above players, you can convert them to MOV files. 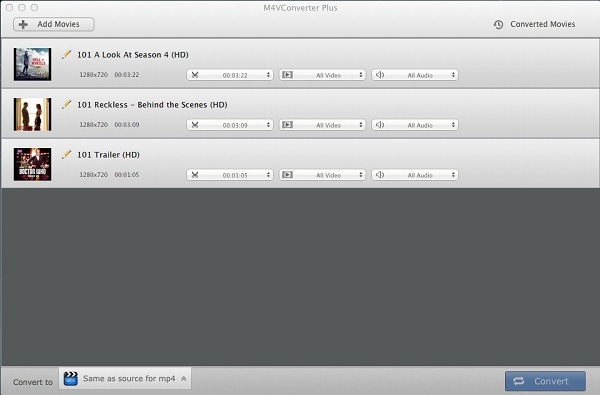 M4V Converter Plus is an all-in-one M4V to MOV Converter which can not only legally remove DRM from iTunes videos, but also can convert iTunes DRM protected M4V to custom MOV with the same quality with the source video. 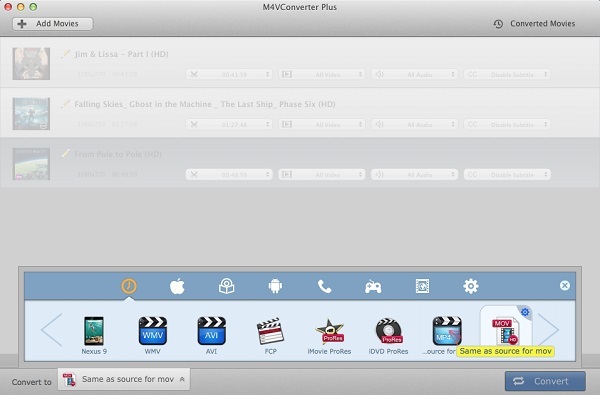 Step 1: Add your M4V videos to the program from the iTunes library. Free download, install and run M4V Converter Plus, you will find the user interface is easy to use. Now click Add Movies button to add the files to convert, you can search your DRM M4V files according name in the iTunes drop-down list, and then select the files, click Add button. Step 2: Set the output settings. The software provides multiple output formats, here for our own needs, we choose Same as source for MOV. After the above settings, then you will see a Movie Settings dialog, you can customize Video and Sound parameters in it as you like. Step 3. Start converting process. 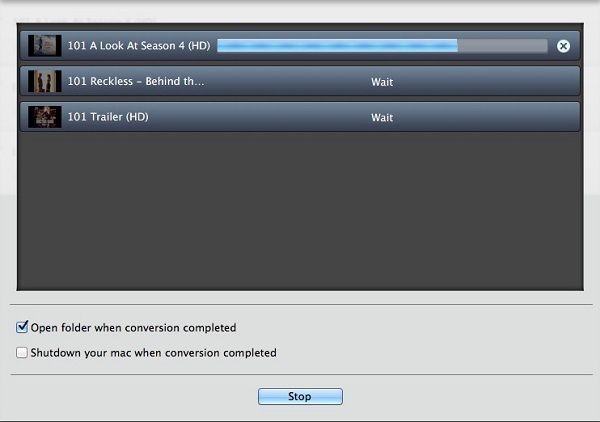 Check all the things, and then click the Convert button to start converting the files. Now, we've finished the process of converting DRM M4V files to MOV within minutes using the powerful M4V Converter - M4V Converter Plus. You can also convert M4V video to MP4, FLV, AVI, WMV and other popular video formats without quality loss.